I am beyond fussy with hair products but Ojon Rare Blend Oil has become my hair’s new BFF. This multi-tasking product contains so many oils I’ve never heard of and I almost don’t care because it’s just so good. The namesake, Ojon Oil, works to repair, seal, and restore the hair shaft. Rouge Oleifera helps protect and repair damage, reducing flyaways and adding shine. Tahitian Monoi Oil is highly conditioning and fast absorbing, it creates shine and protects hair from heat damage and environmental factors. Marula Oil is rich in antioxidants, oleic acid, and essential minerals such as calcium, magnesium, and zinc. Kalahari Melon Oil is nourishing and moisture-boosting. Kuki Oil is rich in amino and fatty acids and is traditionally used to condition the hair, as is Ximenia Oil. The oil separates into three “hair phases” (what? ), which look super pretty in the bottle. By shaking them together and running a little through the mid-lengths to the ends, you get yourself a wicked hair treatment that not only nourishes and transforms dull, dry, and damaged hair but also produces glossy, silky locks. 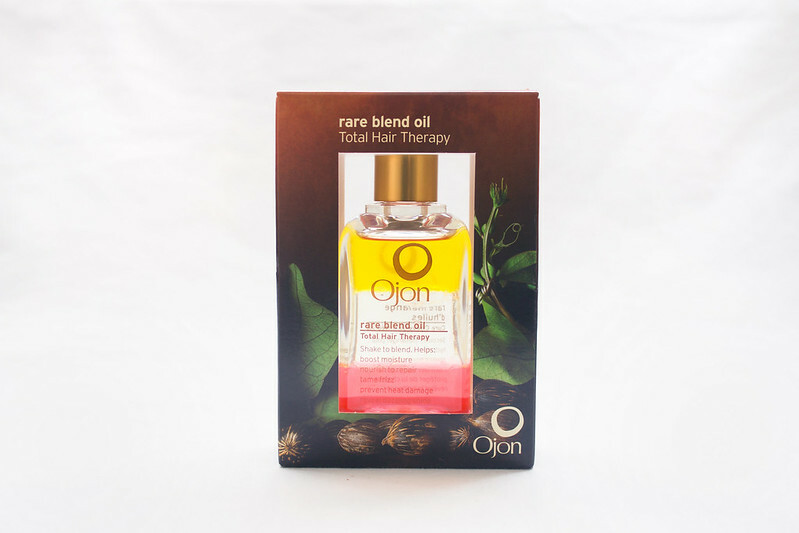 People with coarse, dehydrated, or severely damaged hair will benefit the most from Ojon Rare Blend Oil although I’m pretty sure everybody would benefit from having this in their lives. 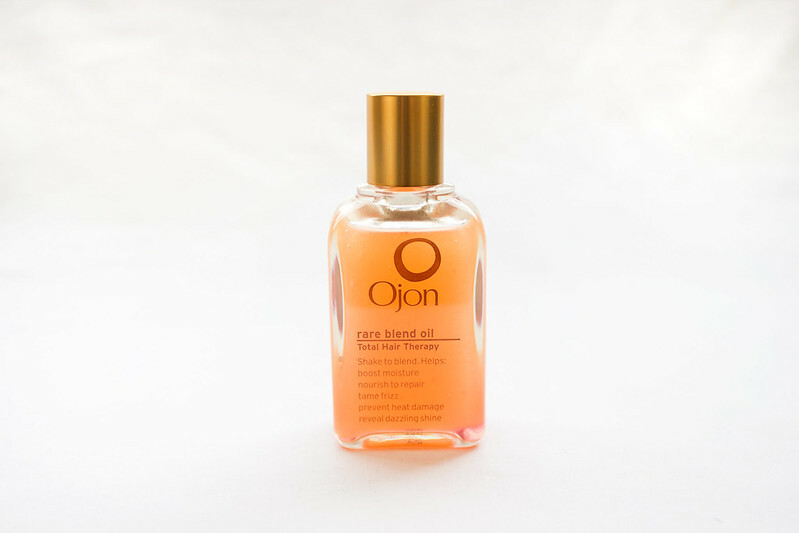 My hair isn’t in bad condition yet it does tend to be dehydrated and suffer dryness after washing; Ojon Rare Blend Oil boosts hydration, preventing frizz and the stiffness caused by dehydration. I apply Ojon Rare Blend Oil while my hair is still wet. I find it produces better results by allowing the oil to work into the hair as it dries. The oil feels like it’s actually penetrating the hair rather than sitting on top of it, which I’ve found a lot of other oils tend to do. It can also be used as a finishing product. The only negative I’d have to say is the whole pump issue. There isn’t one. On more than one occasion I’ve had a heart-in-the-throat moment where I’ve knocked the bottle over and had to dive to catch it. If I could only have one hair product and no other I would choose this. Oh and it’s smells like fruit from the Garden of Eden. Seriously, it’s divine. 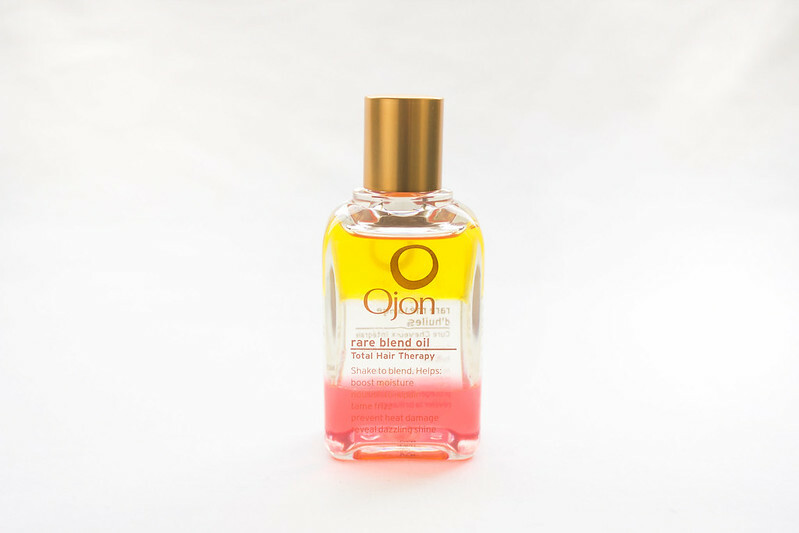 Have you tried Ojon Rare Blend Oil? This sounds so lovely! I haven't really tried any hair oils, but I'm using the Bumble and Bumble Quenching Complex at the moment post-shower and it is so amazing. the bottle alone would tempt me! haha. those colours are nice. anyway, i need to start taking a bit better care of my hair, and something like this looks great. my hair is in generally good condition, but the ends are a little dry. do you think it would be okay on super fine hair? i hate things that weigh it down. The colour was totally the reason I wanted to try it in the first place.. it's just SUPER pretty. It would definitely work on fine/thin hair. Just make sure you don't use too much. I use quite a bit because I have a lot of hair but it's quite fine, and I like adding a bit of weight to it but using a little would hydrate the ends without weighing it down. Ojon does a small £12 bottle you could try (I did that before buying the full sized). So if it doesn't work for you you won't have lost out on crazy money.